"From the legend of King Arthur. As a boy, Arthur knows nothing about his real family. One day his foster father and brother attend a tournament, and his brother Kay sends Arthur to fetch his sword. 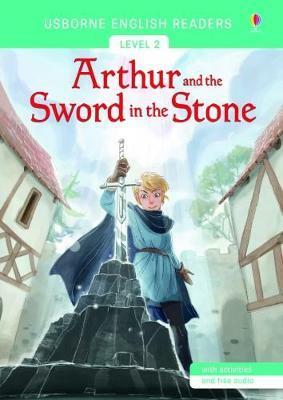 Arthur sees a sword set in a stone. He doesn't know that only the true King of Britain can release it. The Usborne English Readers series is a new range of graded readers in simplified English for younger learners. They include activities, glossaries and a full audio recording of the text in both British English and American English."